It is Basic Invite!! What an incredible website. Even I can navigate with ease! This is just one of the many ones I liked. The thing that sets them apart from other websites is all the color options they use - 180 different colors! Yes, you read that right. You can custom design whatever you want your card to look like. Check out the link party invitations for all the invitations. And ladies, hold on to the seat of your pants. 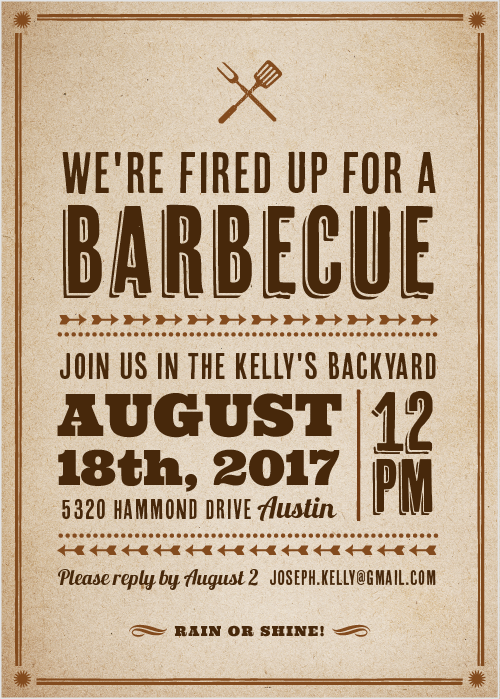 You can order a sample of what your invitation will look like. You will hold it in your hands and get to feel the paper quality before you place your order. I don't know about many of you, but there has been so MANY times I have screwed up on invitations. So this service is a godsend to me! With me working in a school, many parents question me about birthday invitations. I recently was asked by my girlfriend to help her plan her child's party. Immediately, I started telling her about Basic Invite. Check out what we came up with. Cool, right. Here is the link - birthday invitation maker. It really takes the aggravation out of planning a birthday and we will have a lot of fun designing her son's this week. Don't forget to try out their free address service! You can check it out on the website. One thing left to do is "Let's Party! ".